A couple of years ago my husband received a new bread baking book as gift. He’s used it a lot of times and found his favourites within its pages, as you do. 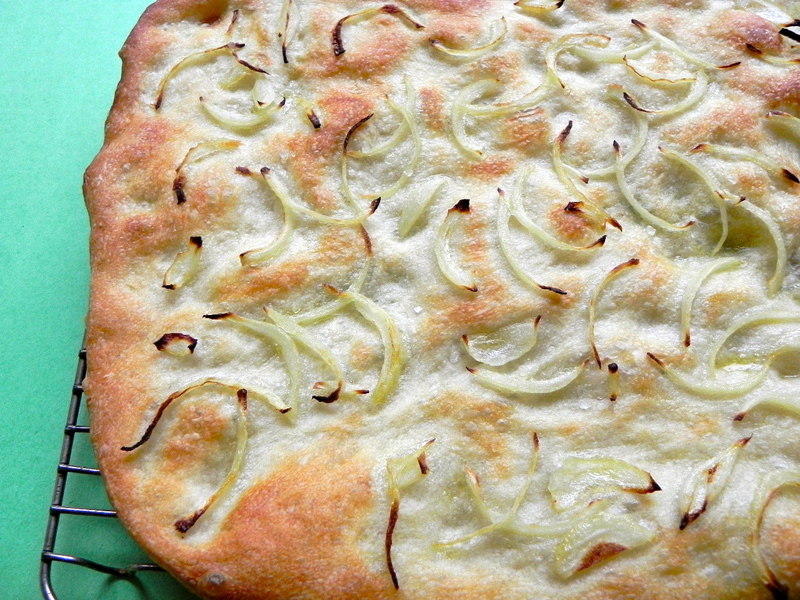 But for me I only use this book for one recipe: focaccia. It starts out with a small weight of flour, a little water and a touch of yeast. You leave the dough to rest, only folding it a few times, and end up with a lovely puffy light dough. It is like a dream. Or a cloud. Or something soft and airy that you will want to eat. Except that it makes only a small square of focaccia, and I usually forget to double the recipe, I have no complaints about the recipe. 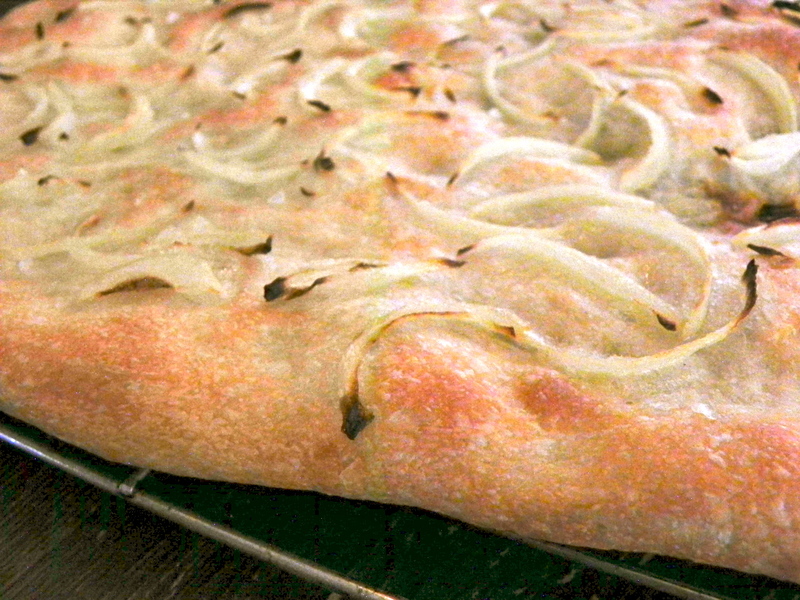 This focaccia rests in olive oil, so it also takes in some olive oil. On its own with coarse salt this is delicious. But I also add onion or tomato and it becomes more pizza-y. Either way, we always finish it all in one go. Don’t you love how a (very) few ingredients can be turned into something so beautiful, and delicious, and lovely? And did I mention it is delicious?